Categories: Rhino, Citroen, Peugeot, Toyota. Not enough space in the back of the van? 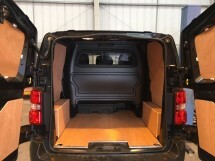 In need of making the perfect use of all of the space you have available on your vehicle? Our “Next Generation” Aluminium Rack is the answer to your equipment transportation needs. Carefully planned, manufactured and assembled in the UK, the Aluminium Rack is constructed from highly robust aluminium alloy and advanced polymer based composites. 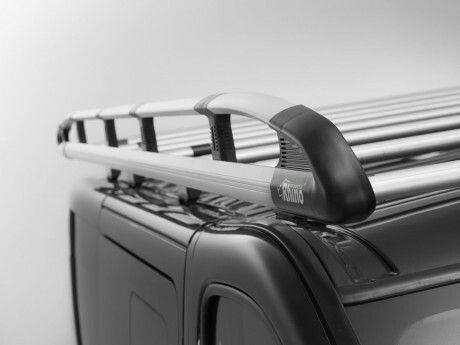 These materials make the roof rack incredibly lightweight – up to 25% lighter than yet as strong as a steel equivalent – corrosion resistant and durable, whilst its contemporary design enhances the appearance of any commercial vehicle. The Aluminum Rack is the perfect tool for transporting ladders, building materials, pipe transportation and scaffolding that may be too large or space consuming for the internal load space of your vehicle. Our Aluminium Rack boasts a sleek and modern aerospace inspired design which combines strength with pleasing aesthetics and cutting edge aerodynamics to create a truly class leading product. 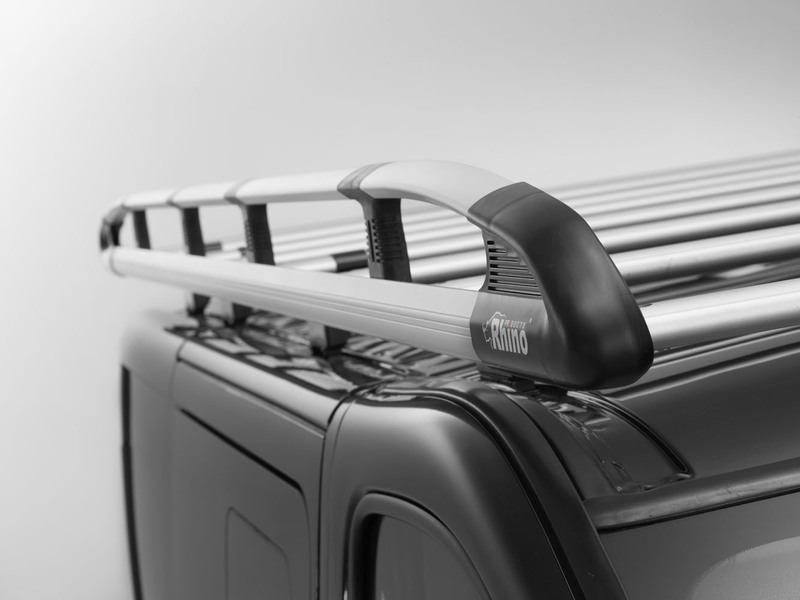 The Aluminium Rack’s crosstubes have been specifically designed to reduce wind noise and drag and with the inclusion of a Rear Roller as part of the package the Aluminium Rack is not just a great looking addition to your vehicle it is also an extra helping hand at the end of a busy day. 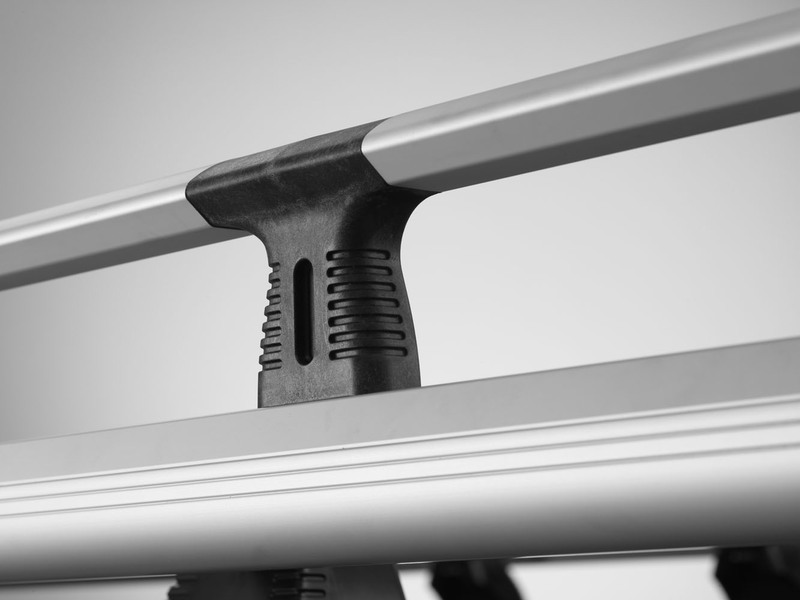 The Rear Roller is constructed from tough and hard wearing stainless steel and attaches easily to the roof rack using our ‘Anti-Rattle’ composite connectors which match the other composite connector pieces and end caps to ensure a hard-wearing long life as standard. 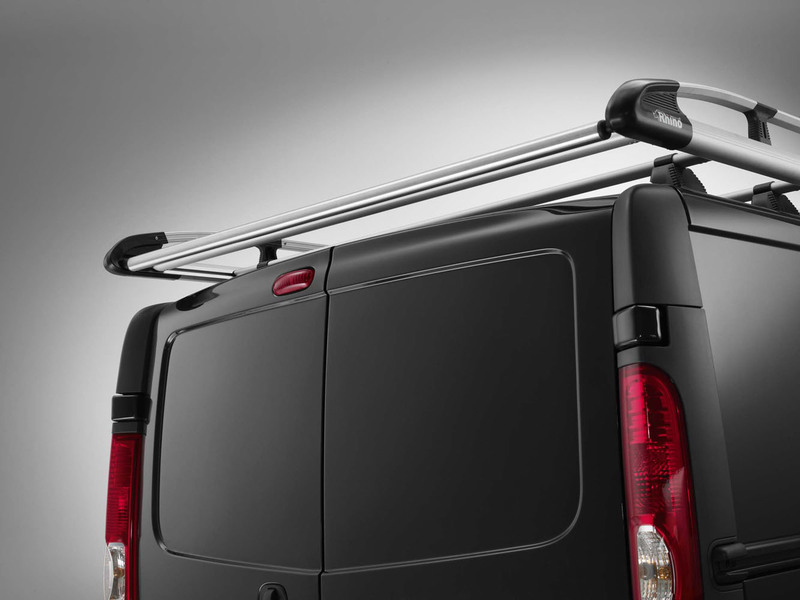 The Aluminium Rack features T-Track technology which enables quick and easy optimisation of crosstube positioning to suit the size of your van’s roof. The inclusion T-Track technology enables a hassle free installation process meaning you will be back out on the road in no time. 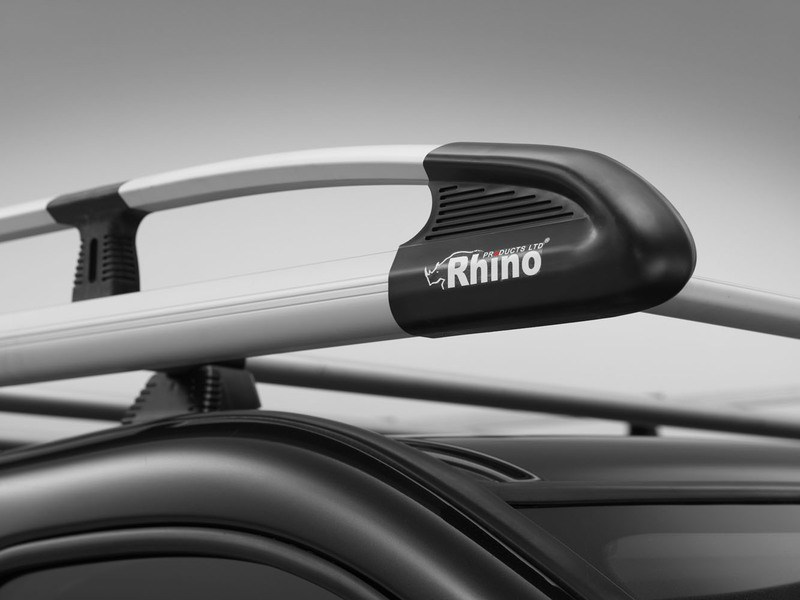 At Rhino Products we pride ourselves in the safety of our products and our Aluminium Rack is no different. The rack has been crash tested to twice the industry standard and can withstand crash damage for collisions with an impact force of up to 20g (20 times the force of gravity) as well as being a fully TUV GS Certified product.